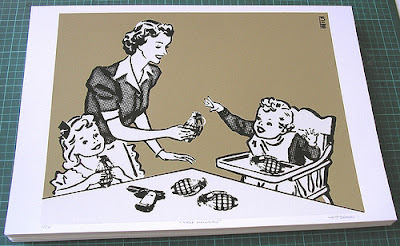 Brighton based artist Hutch releases a new limited edition screenprint today entitled "Table Manners". The print is an edition of 50, Signed & numbered and is 42 x 29.7cms. Available to buy today from his website here.